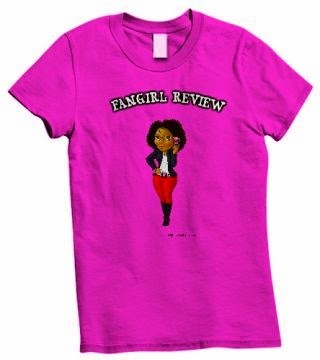 Fangirl Review: Get your Final Fantasy X/X2 Calendar! 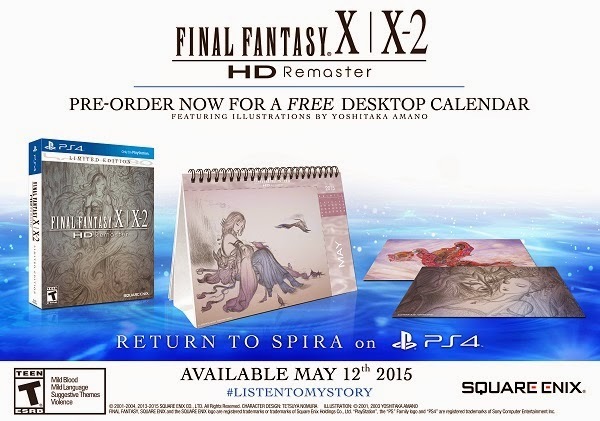 Get your Final Fantasy X/X2 Calendar! Two of the most beloved FINAL FANTASY® titles will be returning soon with the announcement by SQUARE ENIX® that it will be releasing FINAL FANTASY X/X-2 HD Remaster for the Playstation®4 computer entertainment system on May 12, 2015. This new North American version will include system-exclusive features and a special pre-order bonus item: an exclusive calendar featuring artwork by the acclaimed artist, Yoshitaka Amano, available at participating retailers and the Square Enix Online Store. Ability to Switch Between Original and Remastered Soundtrack - Play FINAL FANTASY Xwith the beautifully remastered soundtrack or, new to the PlayStation®4 system version, switch back to the original classic tracks.